After a two year absence, the pull of the " Black and Amber" was still there and Kilbrittain fielded their own team once again in 1936. there was still a decent nucleas of players available to them that had been involved in the latter stages of the 1934/35 championship campaigns with neighbouring clubs Ballinspittle, Bandon and Timoleague, where they would have faced each other on opposite sides. In one of their first games in the league that year, played in Bandon on April 19th against Bandon, amazingly the final result was nil all. This unyielding spirit against a team like Bandon, that were always the yardstick to compare one's standard to, obviously stood to the team as apparently they won the 1936 league title on their return to competitive action. However on Sunday 3rd May, they were defeated in the championship by Barryroe on a scoreline of Barryroe 5-5 Kilbrittain 4-2. As well as competing in the South West league and championship they also participated in the South East league where many great tussles took place. In spite of the extra games, they made an early exit from the championship when they were defeated on Sunday April 11th at Clonakilty by Dohenys on a scoreline of Dohenys 5-3 Kilbrittain 3-0. Six of the O'Hea brothers seen with unknown clergymen and child, taken sometime during the 1930's. A Fr. Murphy who was a curate in the parish at the time set about organising a parish league as reported in "The Southern Star" on April 9th, to unearth new talent and revitalise the older players to ensure that the best possible team went out to play in the championship. Village - D Roche, J Deasy, P Roche, C Harrington, D Desmond, C O'Mahony and J Lombard. Crois na Leanbh - P Holland, J Mahony, C Mahony, C Crowley, J Cowhig, J Walsh, E Barrett, M Regan, J McCarthy, T Crowley, J Slattery, W ryan and S O'Brien. Granasig - Micheal Foley, Mick Foley, J Holland, J O'Regan, J O'Sullivan, D O'Sullivan, J Fitzgerald, B Roche, P Regan, J Ahern, D Ahern, R Healy and J J O'Sullivan. Order of Games: The first match will be between the Village and Crois na Leanbh; the second between the winners and Granasig, whilst the latter will then play the losers of the first encounter. We are informed that the nicknames of the three teams were "The Rusty Buckets" (Granasig), "The knock me downs" (Crois na Leanbh), "The Kill me Deads" (The Village). Around this time also, players availed of what in those days would be considered a rare luxury, when they travelled together to matches in the back of a lorry or jeep for the first time. These were equivalent to todays larger 'pick-up' trucks. Having just come through those 'economic war' years, it couldn't have been easy for any business man to volunteer Sunday after Sunday, for very little reward, carrying players and mentors to those matches. The first such person was Jim Crowley, the Village, popularly called "Jim the mason" to distinguish him from another Jim Crowley also from the village at the time who owned a forge. Mick Crowley who worked alongside his brother Jim in the building trade would have shared the driving of this lorry on those trips. Jim was father of the present day well known family "Crowley Brothers" builders and contractors in Kilbrittain. An interesting aspect of this family is that a strong playing link going right back to the clubs first captain in 1904 has been maintained over the decades and is still present in todays generation of players. The blacksmith Jim Crowley better known as 'Jim the Smith' hailed from Bandon. He was brother of the well known sportsman 'Red Crowley' The next generation of this Crowley clan were also proud to wear the colours of the club. The hurlers entered the south West Hurling Championship and also the South East Cork league. They met Bantry in the first round in Enniskeane and were well on top winning by 9-3 to 4-1. Kilbrittain went on a goal scoring spree when they met Bantry in the first round tie of the South West Cork hurling championship at Enniskeane on Sunday June 11th. Playing against the wind in the first half, Kilbrittain scored five goals and a point. On the resumption of play Bantry reduced the lead to two goals but their resurgence faded out again and Kilbrittain drew away to win easily. the winners were best served by O'Regan and Cowhig, two prolific scorers, Deasy, Sullivan, J Holland, Ml Foley and Desmond. Bantry's outstanding players were Cotter, McCarthy, Collins, S Vaughan, F Vaughan and Keohane. Kilbrittain - J O'Sullivan, D Desmond, D O'Sullivan, J Roche, D Roche, W O'Mahony, Ml Foley, Mark Foley, P Holland, J Holland, J O'Regan, J Walsh, C O'Mahony, J Deasy, J Crowley. Bantry - D Mccarthy, D Minihane, T Tisdall, T Holland, W Downey, M Keohane, T Cotter, P Murphy, S Murphy, M Hurley, P Daly, S Vaughan, F Vaughan, M Kelly, M O'Regan. Referee - Mr C Collins, Clonakilty. Next on the list were old rivals Bandon in the semi-final at Clonakilty where Kilbrittain men had a surprising easy win over the town team by 7-3 to 1-1. On 23rd July Kilbrittain defeated Bandon in the West Cork hurling championship played at Clonakilty. Kilbrittain raced away into the lead with two snap goals in the opening minutes of the game and from that onwards they never looked back. They were best served by J McCarthy and j O'Regan who broke through the Bandon defence time and again for goals while other prominent players were Roche, Deasy, Harrington, Desmond, Foley and Holland. There was not a weak link however in the whole team and although some may not have been as prominent as others, all played their part in Kilbrittain's big win. Bandon failed to re-produce the form they showed against Clonakilty at Harbour view some weeks earlier and only 'Red' Crowley, Mahony, O'Leary and Lordan did anything of note. Kilbrittain - J O'Sullivan, P Holland, D Desmond, M Foley, C Harrington, C Moloney, W O'Mahony, D Roche, J Holland, J Walsh, J Deasy, J McCarthy, J O'Regan M Foley and J Cowhig. Bandon - R Crowley, L Cummins, M Tobin, J McCarthy, J Lane, D Smith, T Gabriel, J Gabriel, E Gabriel, J O'Mahony, H O'Leary, JJ Mahony, W Ellis, J O'Donovan and J Lordan. Referee - Mr S Collins Clonakilty. The final was between Kilbrittain and Dohenys at Enniskeane on the 18th of September in Enniskeane. A large attendance at the final of the West Cork Junior Hurling championship saw Kilbrittain defeat Dohenys after a fast and exciting game. Before the game Kilbrittain were regarded as warm favourites and the feeling became more pronounced when it became known that Dohenys would be handicapped in having to take the field with substitutes for three of the original selection. The latter nevertheless, put up a stiff resistance to the Kilbrittain challenge and the winners had to fight every inch of the way before they could assert their superiority in the closing stages. Kilbrittain were well marshalled in a defence that was skilfully controlled by Foley, Desmond and Roche. The Kilbrittain team was sound and reliable at all phases of the game and employed constructive and resourceful tactics. Despite keen and hard tackling in which no quarter was asked or given, the match was played in a true sportsmanlike spirit and both teams are to be congratulated on the display given at Enniskeane. As a matter of fact, a quarter of an hour spent itself before the referee had to blow his whistle for an infringement of the rules . J Cowhig was the star performer on the winning side and every time he got possession of the ball, danger threathened the Dohenys defence. Deasy also played a great game for the winners while J McCarthy and Holland caught the eye repeatedly. The Dohenys were best served by Ml O'Mahony as well as Buttimer Murray, Sheehy, J McCarthy and Grainger. As the game entered the last quarter the Dohenys challenge began to fade and further pressure from Kilbrittain yielded points from Cowhig, Walsh, Holland and McCarthy to clinch the game for Kilbrittain. Kilbrittain - J O'Sullivan, P Holland, D Desmond, J Roche, M Foley, C Moloney, W O'Mahony, J Holland, D Roche, J Walsh, J Cowhig, J O'Regan, M Foley, J McCarthy, J Deasy(capt). Dohenys - D McCarthy, T Murray, J O'Leary, R Buttimer(capt), S O'Leary, M O'Mahony, J McCarthy, F McCarthy, J Nyhan, J Sheehy, L Farr, L Grainger, D O'Neill, P Hayes, P O'Sullivan. ﻿L to R Front - D O'Sullivan, J Roche, P Crowley, D Desmond. Middle - J Deasy, J McCarthy, Wm O'Mahony, J Walsh, J O'Regan, J Holland. Back - P Manning, P Holland, J O'Sullivan, T Crowley, M Foley, JJ O'Sullivan, D Roche. Kilbrittain were beaten in the first round of the County Championship by the eventual finalists, Cloughduv after a tough tight game. At a South West Cork Board meeting in February, the following Senior hurling team was selected to represent the division for 1939. Team- D Desmond Kilbrittain (goal), R Buttimer Dunmanway, Micheal Foley Timoleague, H Duggan Clonakilty, M O'Mahony Dunmanway, R Crowley Bandon, C Moloney Kilbrittain, D Cummins Bandon, G McCarthy Skibbereen, J Lane Bandon, J McCarthy Dunmanway, J Sheehy Dunmanway, J O'Regan Kilbrittain, D Roche Kilbrittain, D McCarthy Bantry. A colleague on that team, namely Donal Cahalane, served as curate in Kilbrittain in the late fifties and early sixties. Both of these players attended Farranferris and were colleagues of Kilbrittain star of the forties, Batt Rohane from the "Salthouse" Granreigh near Coolmain. His nephews, the Healy brothers Con, Billy and Denis from Harbour view gave great service to the club in later years and between them spanned four decades. Another playing colleague of Batt Rohane at Farrenferris was the former bishop of Cork and Ross, Dr Micheal Murphy. L to R: Back - E Young, Tadgh Crowley, Teddy Barry, Donal Cahalane, Eamon Cleary, Kevin McGrath, George sadlier, David O'Driscoll. Middle - Peter Keohane, Paddy Hayes, Mick Cody, Willie Cummins, Tom McGrath. Front - Willie Holton, Jackie Whyte. In the first round of the South West Cork championship Kilbrittain were drawn against near neighbours and newly formed Timoleague. Timoleague went within an ace of upsetting the championship forecasts as on April 8th in Timoleague, they put Kilbrittains veteran combination and holders of the title, to the pin of their collar. The Timoleague side lead at halftime 2-1 to no score. In the second half, the Kilbrittain team fought back and emerged winners by two points. A narrow escape for the champions. Despite this poor opening performance, Kilbrittain did reach the final where they met Clonakilty in Bandon. Clonakilty relieved Kilbrittain of the South West Cork Junior hurling championship title at Bandon. In a one sided final, Clonakilty raced into an early lead. Their opponenets and last years champions seemed to strike a complete 'off day'. The new champions had been waiting for a hurling title for the past fifteen years and with their work rate they had definitely decided that fifteen years was a long enough wait. Barron at midfield. was the outstanding hurler on the field and his hurling won rounds of applause from the spectators. With long and accurate drives he gave the forwards division a splendid service and they made full use of their chances. Driscoll gave a grand display in goal and Crowley made many fine clearances. C moloney was the most prominent player on the Kilbrittain side. D Cullinane and the inside forwards, Murphy, O'Regan and Ahern took full advantage of the midfield supply to notch up several majors before Kilbrittain rallied with two goals from D Roche and a point from Cowhig, but it was too little too late. Kilbrittain - J O'Regan, D Desmond, J Walsh, J O'Sullivan, J Deasy, JJ O'Sullivan, J Cahalane, J Cowhig, P Roche, J Moloney, T Holland, J Holland, C Moloney, M Finn, D Roche. Clonakilty - C Kiely, M Driscoll, J Crowley, E Walsh, H Duggan, D Cullinana, Ger Cullinana, T Crowley, P Barron, J O'Donovan, J Leahy, F O'Donovan, E Murphy. J O'Regan, W Ahern. As alluded to earlier, football often took the back seat to hurling serving as a means to develop the fitness of the teams. 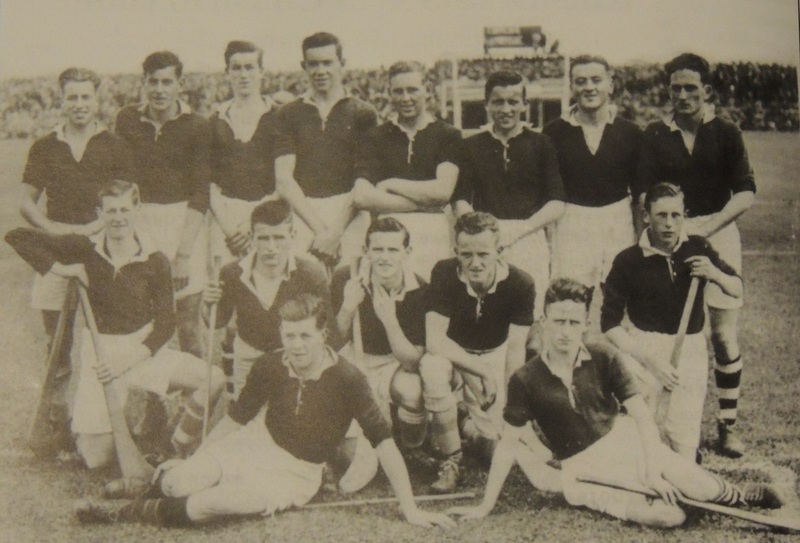 However in 1939, Kilbrittain made it to the West Cork semi-final where they met Carbery Rangers. Kilbrittain found themselves out of their depth as the Rosscarbery side reached the final with a comfortable victory at Clonakilty. Carbery rangers earned the right to appear in the final of the West Cork football championship by defeating Kilbrittain at Clonakilty. The big margin by which they did so was in keeping with the run of play. Carbery Rangers had the advantage from the start when their agile forward P Murphy opened the scoring with a goal. Then followed a point from T Cahill and a goal per Murray. Kilbrittain were scarcely in the picture at all except for an occasional spurt which was invariably countered. J McCarthy and J Hodnett had further points and d Mehigan a goal. Towards the end of the opening half, the eastern men rallied and put the Rangers on the defensive, but were forced back and J McCarthy finished the counter movement with a point. P Murray raised the white flag immediately upon the resumption of play, but the Varbery Rangers were then put on the defensive. Kilbrittain availed of an advantage created by a gap in the Rangers defence and J regan sent in for the score and registered a goal. J Hodnett had a similar score at the other end. For the most part to the final whistle Carbery Rangers had the best of matters. Points were added by P Murray (3) and D Mehigan (2). Kilbrittain - D Roche, D O'Hea, J Roche, J Holland, P Holland, J Hallissey, J O'Regan, J O'Sullivan, J Slattery, C Maloney, D Ahern, J Madden, W O'Sulliavn, J O'Sullivan, D Desmond. Subs - J Ahern, P Crowley, M Healy. Carbery Rangers - T Cahill, D Regan, P Cunningham, JJ Hayes, J Hodnett, D Sheehan, F Donovan, D Regan, J Mccarthy, D Collins, P Murray, D Mehigan, J Hodnett, M O'Donovan J Coakley. Subs - R Casey, P Sheehan, J Regan. Around this time, it was decided to change the home 'goalfield' as it was termed then, to Harbour View on the lands of Timmy McCarthy Farnagark. As mentioned earlier, John Cummin's field in Clashavanna had been the official hurling field for the club from 1904 to the end of the 1930's. Prior to Cummin's owning the land it would have been part of the lands of Kilbrittain Castle. The landlord at the time Alock Stawell gave permission for hurling to be played on the land. On March 31st Kilbrittain and Skibbereen met in the minor hurling championship in Timoleague. The heavy sod was not conducive to good hurling and Kilbrittain were down 2-2 to no score at halftime. Kilbrittain registered a goal and a point on the resumption but Skibbereen were stronger on the day and won 9-3 to 1-2. As far as we are aware this may have been the first occasion for a minor team to be entered in the championship. Kilbrittain reached the final of the West Cork junior hurling championship against Bandon and it finished in a draw Kilbrittain 2-7 Bandon 3-4 in Clonakilty in September. They week before the replay, having being drawn from the hat to represent the Division as the South West final replay had not taken place yet, Kilbrittain met Cloughduv at the High road Upton in the county championship. Cloughduv won convincingly 10-6 to 4-4. The South West final replay took place the following week on October 19th. The meeting of Kilbrittain and Bandon in the replay of the West Cork Junior hurling championship final at Clonakilty on Sunday October 19th, must have provided one of the best, if not the best match of the year in the division. Were it not for the shocking weather which prevailed, spoiling the game to a great extent as torrential rain which fell steadily for the hour, made the pitch heavy and difficult for the players. The final could scarcely have been played in worse conditions and yet the play reached a high standard considering all the adverse circumstances. Kilbrittain were deserving winners of the title and right from the start they appeared to have a grip on what was a lively match throughout, and although Bandon were within striking distance of the leaders, they failed to come up to their opponents level. Kilbrittain were better able to adapt to the aquatic conditions and this gave thema definite piull over the Bandon side and they led by two points at halftime. Bandon tried hard in a second half rally but lost one of their prominent players 'Red' Crowley through injury. Kilbrittain put in a strong finish to the game that was played in a fine sporting spirit and scored their fifth goal per Roche. Foley was the outstanding player on the winning team and he was ably assisted by Roche, Finn, Cahalane and Moloney. Bandon were best served by 'Red' Crowley, E Smith, Lane, Calnan and S. Crowley. Kilbrittain - J O'Regan (Capt), J Walsh, M Foley, D Desmond, J Cahalane, J Moloney, JJ O'Sullivan, J Roche, D Roche, M Finn, J Cowhig, J Holland, J Deasy, P Holland. Bandon - J LAne (Capt), J O'Mahony, M O'Mahony, J Jones, R Crowley, L Cummins, S Calnan, D Smith, E Smith, J Lordan, P Quinlan, PJ Murray, S Crowley, C O'Brien, J Donovan. Referee - Rev. Fr. McCarthy, B.D. Baltimore Industrial School. After the game, the main entrance to the grounds was declared out of bounds to civilians as it was occupied by the Military. Rain soaked supporters were asked to leave the grounds via two turnstiles which took up a good deal of time. Eventually the soldiers yielded to the constant rush and opened the main gate for some time! The following week, Kilbrittain played 'Crusaders' in a league fixture in Kilbrittain. Kilbrittain having the better of the chances in the first half, led at halftime 1-2 to 1-0. The visitors pumped in three goals in quick succession and looked set for victory. kilbrittain had a great rally in the closing stages and salvaged a draw Kilbrittain 4-3 Crusaders 5-0. A victory dance was held under the auspices of the Kilbrittain hurling Club in the Parish Hall on a Sunday night in February. It was an outstanding success. About two hundred people attended, with patrons coming from all parts of the country. The 'Melody Makers' supplied the music. The South West Cork Junior hurling championship medals were presented to the winning team by Rev. Fr. McSweeney C.C. who said the players were a credit to the parish which was very proud of them all. They hoped, he added, to go a step further in 1941 and gain the county title. Dr. O'Callaghan, M.O. who joined in the tribute, said that under the guidance of Rev. McSweeney, the club would achieve even greater things. In reply, the team captain, Mr James O'Regan said their victories were due to the spirit animating the side, every member of which could be relied on to give of his best when the occasion arose. In the 1941 championship, Kilbrittain played Bantry in the second round at Dunmanway on July 19th. Following a fast and lively game the teams finished level on 3-4 each. The replay on August 24th, also in Dunmanway, saw Kilbrittain gain a merited victory. The 4-1 to 2-1 victory rewarded Kilbrittain with a semi-final meeting with Skibbereen. This was played on October 12th. It was a lively encounter that saw Kilbrittain emerge the victors courtesy of a 5-2 to 1-4 scoreline. Kilbrittain were now set to meet Bandon in a repeat of the previous year's final. The final played in Timoleague in November had an unsavoury end as the report suggests. There was a disappointing end for the match between Bandon and Kilbrittain in Timoleague on Sunday November 9th in the final of the S.W. Cork Junior hurling championship, the game being abandoned owing to a series of incidents culminating in a player having to be carried off the field unconscious. There was a good attendance despite the unfavourable weather. For over three quarters of an hour the issue was keenly fought out, but at a period in the second half, exchanges developed on far too vigorous lines and the closure had to be applied. In fairness to the teams it must be said that the offenders were few. Perhaps if one of them had been given their marching orders at the start, the trouble would have been averted. Bandon proved superior in the first half and exercised most of the pressure without however fully availing of their oppurtunities. In the second half Kilbrittain fought back in Characteristic style but after reducing the lead to a point, Bandon again stretched it to four points. Then came a scuffle as a result of which D Smith of the Bandon side was carried off unconscious. 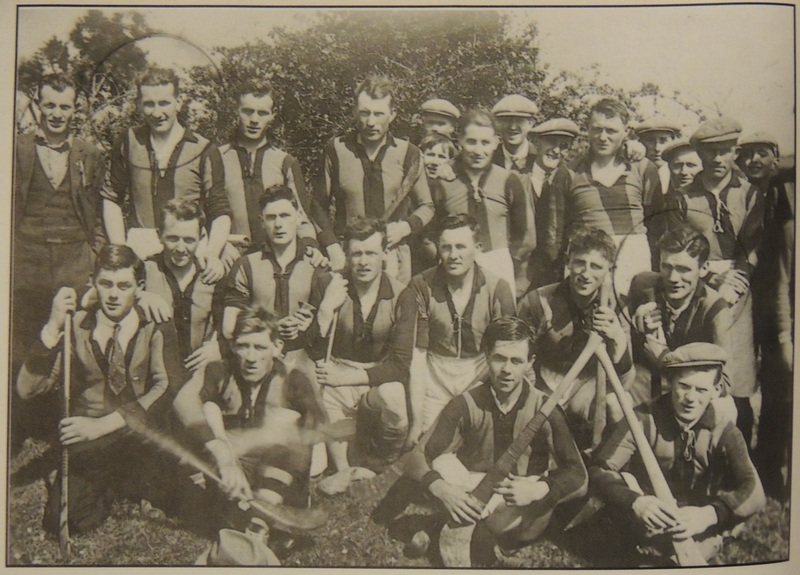 In the game itself, the two Smiths and Red Crowley were stalwarts in a well knit Bandon defence with Cummins dangerous in attack. Equally Foley and Cahalane broke up may promising movements in the Kilbrittain defence. With three quarters of the game played, goals were exchanged and with continuous rainfall, players strained every nerve and muscle in a stern struggle that now showed decided elements of roughness. There was a couple of incidents and finally the game was abandoned as stated earlier. Bandon: M O'Mahony, S Calnan, R Crowley, S Crowley, J O'Driscoll, D Smith, E Smith (capt), J Lane, J Collins, J Jones, P Quinlan, C O'Brien, PJ Murray, L Cummins J Lordan. Kilbrittain D Desmond, John Moloney, M Foley, J Cahalane, Jim Roche, Con Moloney, David O'Sullivan, M Finn, Dan Roache (Capt), Batt Rohane, Jerh Holland, Pat Crowley, J Regan, J Deasy P Keohane. In spite of the final being abandoned, Kilbrittain went forward once more as South West representatives where they were defeated by Valley Rovers in Bandon in the first round of the county championship. On December 6th a meeting of the South West Board was held in Enniskeane. It was presided over by Chairman Mr Micheal O'Regan (N.T. Kilbrittain). Kilbrittain were represented by Mr Dan Roche and Bandon were represented by Mr A O'Neill and Mr E Smith. The main topic on the agenda for investigation was the abandoned South West Junior hurling final. "I refereed the Bandon-Kilbrittain Junior Hurling at Timoleague. The match started at 3.40pm Owing particularly to the slippery nature of the pitch, the play in the first half was inclined to be robust and rough. On the turn over, the standard of play did not improve and there was several encroachments of the pitch by spectators. It was with great difficulty to the linesmen that the play continued as the spectators were standing four and five yards inside the line. I tried to clear the sidelines on several occasions but my efforts were futile. About eight minutes from full time, a scuffle between a Bandon and a Kilbrittain player took place. Immediatley the sideline crowd swarmed around them and I was unable to ascertain the name of the two players. Many other players joined the fight. The Timoleague stewards tried to restore order but their efforts were fruitless. I waited for almost ten minutes for order to be restored and tried to get the teams to continue the game. I was constantly blowing the whistle but nobody took any notice. Therefore, I had no alternative but to abandon the match.The chief culprits were the sideline spectators and although every praise is due for the Timoleague club for the fiel arrangements, I think all this would have been avoided by having the field wired." Mr A O'Neill, Bandon said he did not see why Bandon should be victimised as they were quite willing and prepared to finish the match. Some of the Kilbrittain players had left the field before the referee. Mr Roche, Kilbrittain said "Name them". Mr O'Neill said the responsible people were the followers of the Kilbrittain club and there was a rule which held every club responsible for its followers. It was bad enough to have squabbles between spectators or players themselves, but it was outside all reason to tolerate outsiders interfering and beating players senseless on the ground. The time had come when some club should be made pay the penalty. The Chairman said " there are only two remedies as far as I can see, and one is to replay the match or else suspend the two teams". Mr O'Neill said " Why should Bandon be suspended? There was one of our players kicked on the field". The Chairman said " I am only giving my own personal view. I only want to give both sides fair play and if anyone thinks I will not do that, he can object to my remaining in the chair." Mr O'Neill said that Bandon were demanding an inquiry and also that they should try to keep the game as sporting as possible. If not, Bandon felt that they would have to leave the division. Mr O'Neill again referred to the incident at the match and said that were it not for the actions of a Courtmacsherry man on this occasion a Bandon man would have been kicked to death. Mr Roche asked the second Bandon delegate Mr Smith, if he had seen the player referred to, being kicked? Mr Smith said he did not as he was not near the scene of the occurrence. If he had seen it, they would probably be discussing it in a court of justice and not at the meeting. Mr O'Neill said it is well known, if there is an inquiry, who kicked him and who saved him. Mr Roche Kilbrittain replied " We did not see him getting kicked anyway". Eventually it was decided to let the County Board deal with it and it wasn't until the following year after a specially convened West Cork Board meeting that the matter was finally resolved. Kilbrittain were drawn against Clonakilty in the first round of the championship and having defeated Clonakilty, qualified to meet Bandon in the second round. This was while still awaiting the outcome of the 1941 abandoned final. A special meeting of the West cork Board was held in the Town Hall in Clonakilty on May 2nd under the chairmanship of Ml O'Regan N.T. Kilbrittain. The purpose of the meeting was to decide on the question of the fixing of the replay of the previous years abandoned Junior hurling final between Kilbrittain and Bandon. Mr A O'Neill (Bandon delegate) told the meeting that the game had been fixed for Kinsale by the County Board but that it was still a matter for the Wets Cork Board to agree or disagree. The chairman said that since the teams last met, circumstances had changed very much. His personal suggestion, in order to get over the crux, was that as the teams were meeting again in this years championship second round, one of the matches could be played in Bandon and the other in Kilbrittain. The meeting finally decided to have the 1941 final played in Bandon and the 1942 second round game in Kilbrittain. Neutral referee and umpires to be appointed. Mr J Murphy, Innishannon, was recommended as referee. Kilbrittain were successful in both games! They progressed to the South West final again where they faced the Enniskeane team St Mary's, who went within an ace of creating a surprise on Sunday September 12th. Adopting dashing tactics from the start and exploiting some fine individual prowess to the full, St Mary's succeeded in disconcerting their methodical opponents in the first half to run up a goal and four points without reply. Even allowing for the fact they were facing a strong wind, Kilbrittain had not reproduced their recent form. St Mary's backs O'Mahony, Collins, Moriarty and O'Leary were outstanding, while at midfield Vaughan and Slyne conceded little to the strong Kilbrittain pairing of Finn and Roche. Warren was the inspiration for all their attacks and was mainly responsible for the lead being set up. In the second half, Kilbrittain began to get more of a grip on things and combined play from O'Sullivan and Moloney set up Keohane for a nippy goal. However St Mary's were not done and Murphy finished the all to the net to extend the lead once more. Following strong play from Kilbrittain in the St Mary's goalmouth, the ball was rushed over to line. After consultation, the score was allowed to reduce the St Mary's lead to four points. A second goal from Keohane and a point from a '70 by M Foley brought the sides level. After a hectic period of play, Holland drove over the bar putting Kilbrittain in front for the first time. Play continued from end to end before Finn added a final point for Kilbrittain on the stroke of full time. Thus completing a "Three in a row" for Kilbrittain. Kilbrittain- J Deasy, J Moloney, J Cahalane, JJ O'Sullivan, C Moloney, L Hurley, C O'Leary, D Roche, M Finn, B Rohane,, P Keohane, J O'Regan, J Holland, J Cowhig, H Allen. St Mary's- T O'Leary, J O'Leary, M O'Mahony, J O'Regan, J O'Donovan, L Moriarty, J Collins, T Vaughan, D Slyne, J warren, C Noonan, M O'Brien, J McCarthy, T Murphy, D Murray. L to R Front - D O'Sullivan, J Roche, P Crowley, D Desmond. This latest victory completed a "Three in a row" of South West titles for the club and it would certainly have been very difficult for anybody in the club at that time or afterwards, to believe that it would be 36 long years including many heartbreaking defeats before the next South West title in the 'A' grade which was delivered in 1978 against the same opposition, St Mary's. A contributing factor it has to be said, for the ensuing lengthy spell away from the top table in the South West was the amalgamation of neighbouring clubs Ballinaspittle and Ballinadee to form Courcey Rovers in 1947. This new club would become a dominant force in hurling in the South West division over the following three decades. In January 1943, the following delegates represented the club at the South West Convention: Rev. Fr Coffey C.C., Dr. H O'Callaghan, C. Crowley and J. Deasy. in the draws for the Junior 'A' hurling and football championship, Kilbrittain were drawn against Barryroe in both competitions, while they drew Drimoleague in the 'B' football championship. They reached the final of the Junior hurling championship and drew with Clonakilty in the initial game on a scoreline of Kilbrittain 6-0 to Clonaklity 5-3. The replay on September 5th was in Bandon and on this occasion Clonakilty emerged the winners on a scoreline of Clonakilty 4-4 Kilbrittain 3-2. The Kilbrittain team read, J Moloney (capt), C Moloney, J Deasy, D Roche, J Holland, M Finn, J Cahalane, P Keohane, J O'Regan, JJ O'Sullivan, B Rohane, D O'Sullivan, C O'Leary, M Foley, J Crowley. Having appeared in six finals in a row, and winning four of those finals, it was inevitable that this particular group of players were heading to the veteran stage and coming to the end of their playing careers. Some players had retired and other players from outside, who were an integral part of this team, answered the call to return to their native parishes. The result was a shortage of players available along with the hardships encountered during this period at the time of World War 11. After the championship of 1943, the club once again failed to affiliate teams for the 1944 and '45 championship.